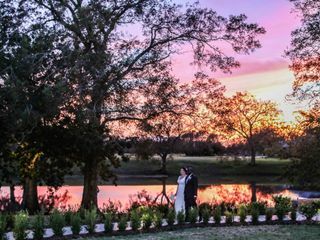 White Oaks is a rustic ranch wedding venue located in Simonton, Texas. 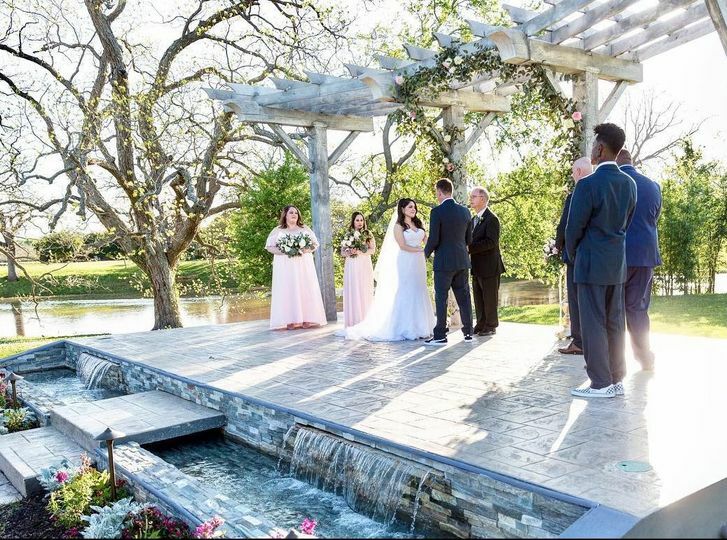 With the perfect combination of chic and country style, the ranch offers a beautiful setting for your special day. Let them help make your fantasy wedding a reality. White Oaks can accommodate a maximum of 200 people. 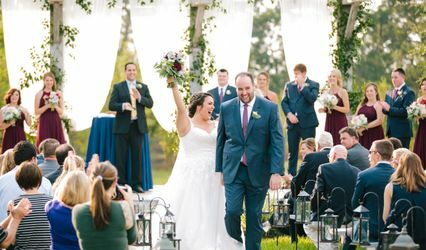 The 33-acre property offers plenty of picturesque locations, such as a white swing for charming wedding photos. 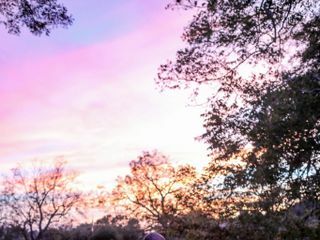 Intoxicating flowers, a waterfront view of the lake, cobblestone pathways and large fire pits are just a few highlights that allow this venue to stand out from other locations you may be considering. 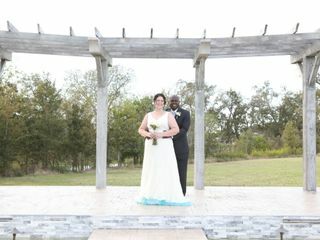 Couples can say “I do” outside in front of the gorgeous gazebo. The vast greenery surrounding the ceremony site will create a breathtakingly romantic setting. 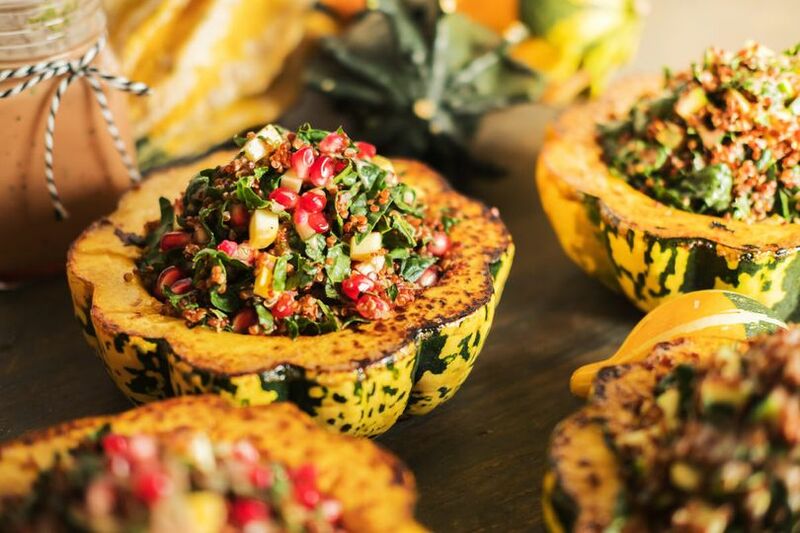 For your reception, the festivities can take place both indoors and outdoors. The barn is stunning in its simplicity with exposed wood beams on the ceiling, hardwood floors, rustic chandeliers and neutral tones. An outdoor patio is decorated with string lights to complete the ambience of this beautiful venue. I LOVE THIS PLACE. We just got married at the end of March here! No fuss, no nothing! It's wonderful. 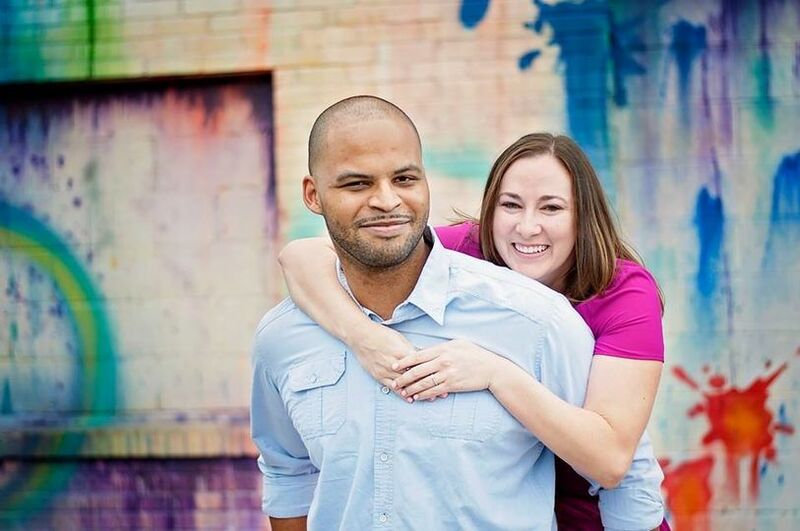 My husband and I actually had to change our date AND venue about 3 months before the wedding because our guest count went WAY above the capacity of my dad's backyard. So we already had our caterer, DJ, Photographer, and Florist booked so we were looking for a venue that was a beautiful blank canvas and as soon as I first came to this place, I knew it was it!! I was so excited to find something as everything in Houston is sometimes so "inclusive." It just turned out to be the best place I could ever think of!! My husband and I both believe things happen for a reason and we truly believe that we found White Oaks as a blessing because it was just beautiful. We utilized the fire pit for smores which my guests LOVED. I have pictures of the reception too that are AMAZING, but they are too big to fit on this website. I got a great price because I booked so quickly and it was all worth it. Please book here!!!! You will not regret it no matter what time of year! Thank you for the review Lorena! You were such a delight to work with!! Perfect place and good location. 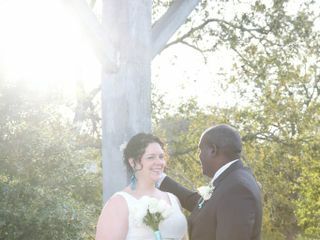 We had our wedding at White Oaks on the Bayou in Simonton, TX. Everyone enjoyed the scenery and location. All the staff were very helpful and courteous towards the brides requests. 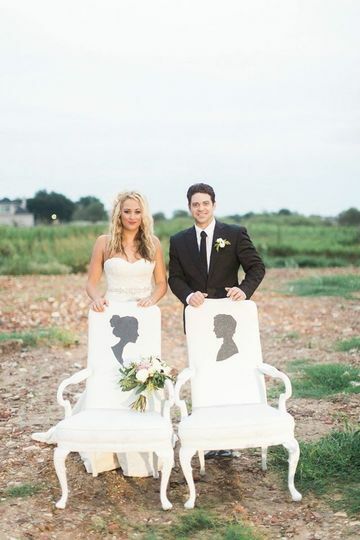 Stellar Rustic Chic Wedding Coordination! Rustic chic elegance embraces a waterfront feel sure to please everyone. 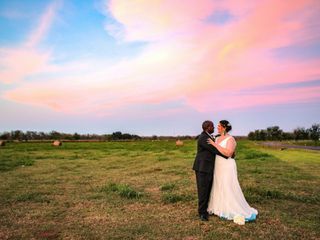 I worked with Cari out at the venue for a wedding she was coordinating, (I was the photographer) and Cari had every single detail taken care of. In 14 years of shooting, Cari was easily top 5 coordinators I've worked with. She's amazing! The venue is incredible with both indoor elegance and outdoor charm. Every face of the building has been detailed, and we experienced what could only be described as a masterpiece sunset over the water that gave everything that fall pink glow. Would absolutely love to shoot anything Cari is coordinating, and am certain this won't be my last wedding at White Oaks on the Bayou! 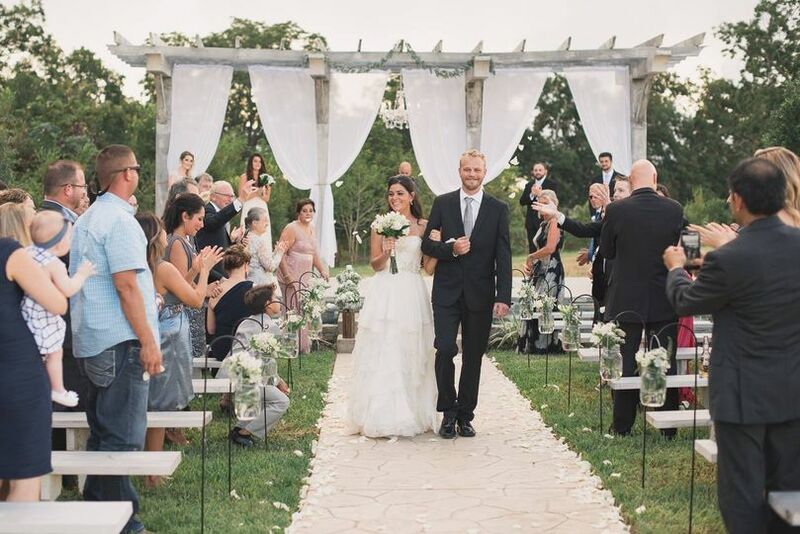 For a limited time only, get your ceremony free when you book your reception at White Oaks! 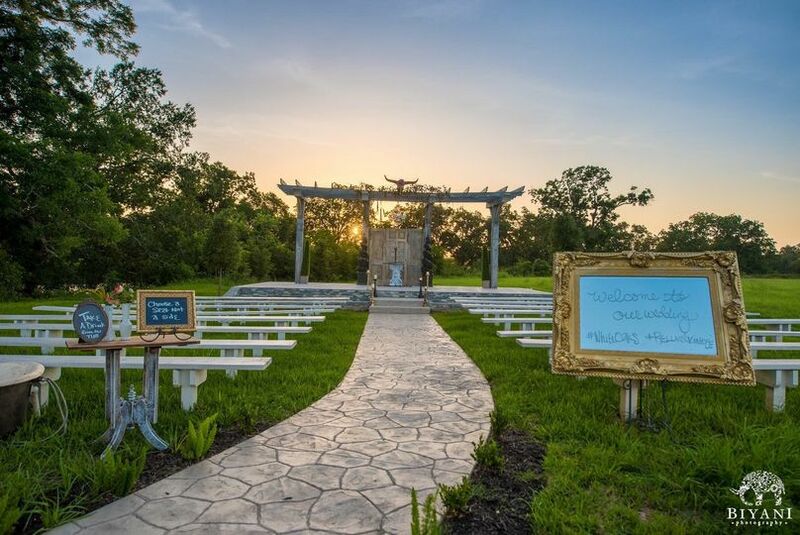 White Oaks is a picturesque new venue located just a few miles west of Katy; the perfect canvas to host any memorable event! 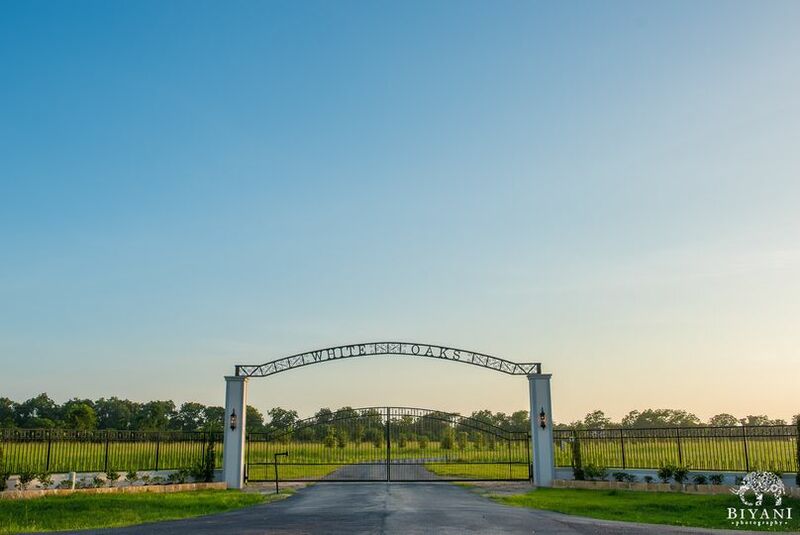 Sitting on 32 acres, horses graze near the front of the property and a serene creek flows just beyond their outdoor patio (which is beautifully lit up with strings of lights). 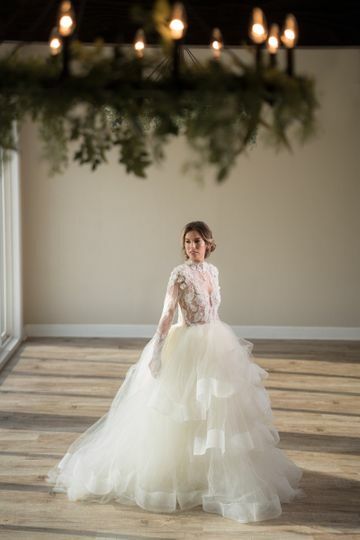 As local vendor, also located in Simonton (Re&apos;Luv&apos;d Vintage Rentals // www.reluvd.com), I&apos;ve had the opportunity to work the venue already and I can honestly attest to how friendly, professional, and helpful the staff is. 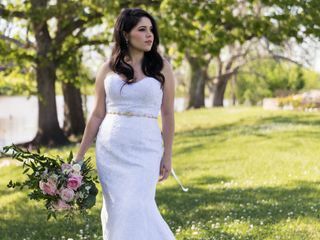 They allow you to choose the vendors you prefer which is such a nice option for both the DIYer and pickiest of brides! If you don&apos;t know where to start they have a list of trusted vendors as well. 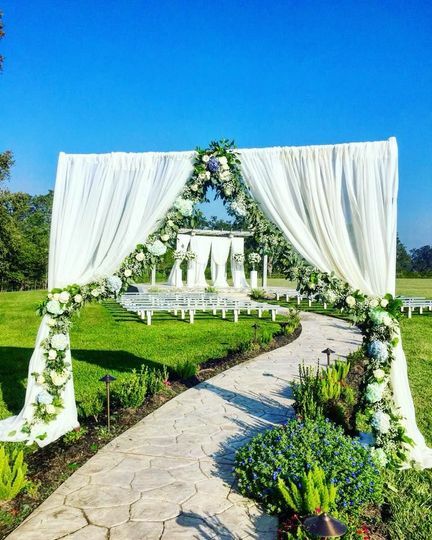 White Oaks is obviously a fabulous choice for your wedding... but calling it a wedding venue would be an extremely limited statement; it has so much more potential!!! I can foresee many birthday, anniversary, and celebratory parties being held here as well! I&apos;m delighted to have such a wonderful addition to our community! Fabulous people to work with!